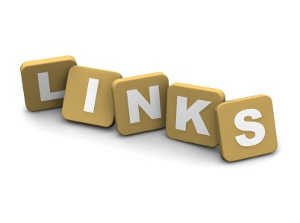 Receiving Google’s dreaded unnatural links warning is something all website owners would prefer not to experience. However, ignoring these messages and burying your head in the sand is not an option, action must be taken or else a site could end up receiving the full weight of a Google penalty and have its entire site removed from Google’s index. Tackling an unnatural links warning is a stressful and time consuming task, but during the last year Google has been taking some extra steps in becoming a little more transparent in rolling out various tools and features to try and help guide webmasters to the source of their problem. Google’s warning messages have certain levels of severity, so the most extreme warning is Google disliking the practices of an entire site, to messages less severe such as Google not liking certain links that have been recently acquired (this is a post I wrote on the subject in August 2012 – Clarification on Google’s latest unnatural links messages). To help site owners tackle the latter issue Google launched the ability for site owners to sort by recent discovery of links so you get to see the date when Google identified and recorded links pointing to a site – this is all controlled through Google’s Webmaster Tools. In the autumn of 2012 Google also launched their disavow tool which allows website owners to notify Google of links pointing to their site that they have no control over but would like Google to ignore (providing the site owner has taken every measure possible to try and get the links removed themselves) as they think the links are spam and could be hurting their site’s profile. Today’s news is about a new feature Google is working on, and is in the process of rolling out, which is to give webmasters some example links within its unnatural link warning messages that Google doesn’t trust. The number of example links Google will try to provide could range from 1 to 3 links depending on the incident they are building on the site. The example links are intended to give site owners a flavour of the type of links that Google distrusts and are hurting a site’s profile, which the site owner then needs to address. Whilst this announcement has only just been made it would be great to hear from anyone who has already received the new messages containing link examples, were they useful to receive and were they of any help? Please feel free to share your thoughts in the comments below.